I have been enjoying plenty of fresh, local tomatoes and I am always looking for new ways to enjoy them. This salad really celebrates the tomato. I used tomatoes three different ways in this one salad. 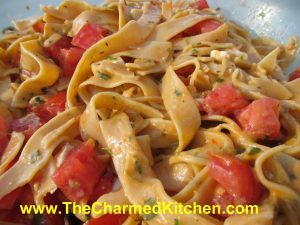 I started with a homemade tomato pasta, added fresh diced tomatoes and finished it with a tomato salad dressing. The salad has fresh mozzarella cheese added to it, along with some hard cooked eggs. You could easily add cooked chicken or shrimp, if you prefer. Here is the recipe for the salad and the dressing. 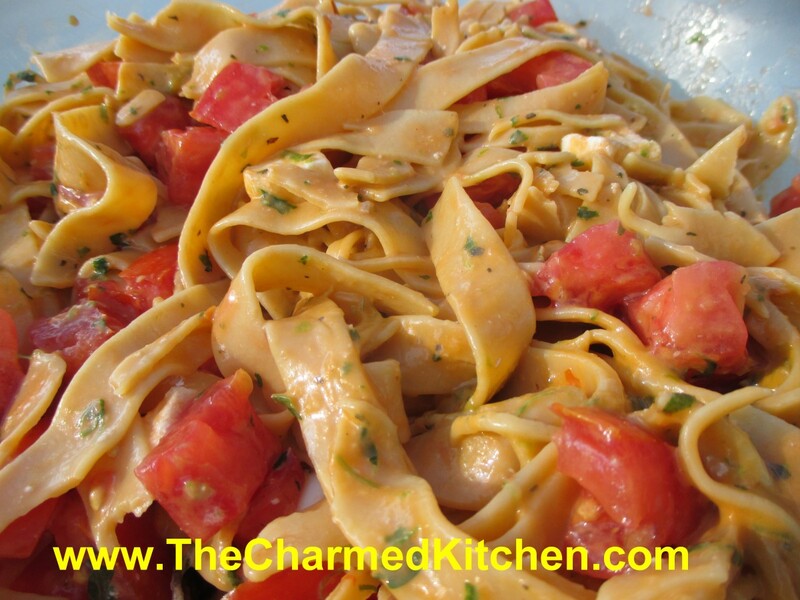 I posted the recipe for the homemade tomato pasta before. The link for the pasta recipe is at the bottom of this post. You can, of course, use store bought pasta, if you prefer. Tomato herb dressing- recipe follows- or use the vinaigrette of your choice. Cook pasta according to package directions. Drain. 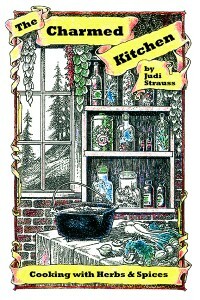 Combine with remaining ingredients and toss. Serve immediately or chill. Serves 4. Combine all ingredients in blender until smooth. Makes 1 ½ c.